Three Bridges' Lot 200 at the upcoming Inglis Australian Easter Yearling Sale. The Eddington based Three Bridges Thoroughbreds are heading up north this week for the Inglis Easter Yearling Sale at Sydney’s Riverside Stables. Attracting another stunning catalogue for 2019, the Victorian vendor is proud to present four beautifully bred and prepared youngsters to the local and international buying bench. “This is our goal is to have offer the highest quality horses possible through the Gold Coast and Easter sales. We want to offer the elite buying bench genuine high-end racing prospects, and this draft is an excellent example of that,” Toby Liston said. Lot 60 is one of only two colts in the sale by champion sire and proven sire of sires Lonhro, he is the first foal of Group 2 winner, the Redoute’s Choice mare Into The Mist. The second dam, De Lago Mist is also a Group 2 winner and the dam of stakes-winner Instinction. Lot 116 is by Champion three-year-old Dundeel out of the Group 1 winner of the New Zealand Oaks, Midnight Oil by Keeper this filly also boasts a family that includes Our Tristalight, Danske and Eagle Rhythm. 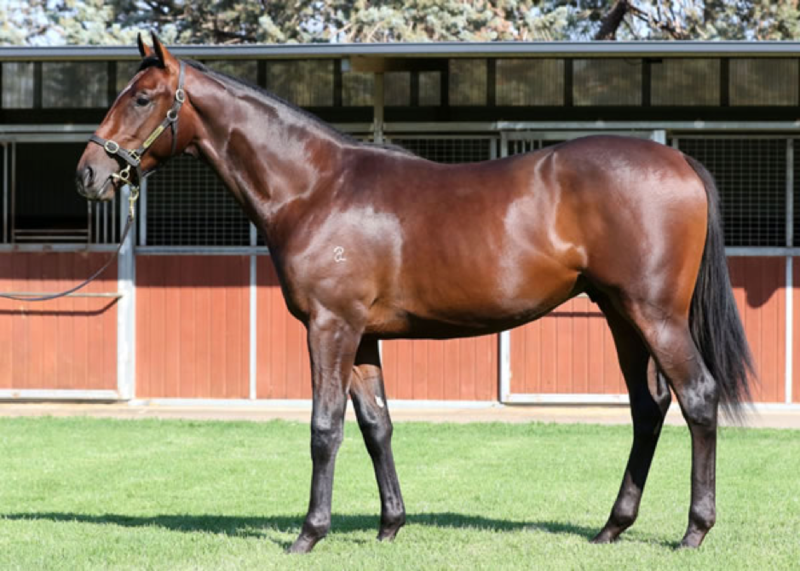 Lot 170 is by proven Group 1 sire, So You Think out of the Fastnet Rock mare Papillon Rose. This filly is the second foal of a good metropolitan winning sister to stakes Cranbourne Cup winner, Digitalism. Bred on similar High Chaparral (sire of So You Think) x Fastnet Rock cross to Group 1 winner Tivaci and Group 2 winner Omei Sword. Lot 200 is a real standout. By renowned classic sire Tavistock out of the Group 1 BRC Queensland Oaks winning mare, Provocative, Group 1 classic goals are well within his reach. He is the first foal of Provocative, whose dam Betwixt won the Group 3 Tasmania Derby and is bred on the prolific Tavistock x Zabeel cross that runs at 87% winners to runners. It has delivered five stakes-winners including Group 1 Australian Derby winner Tarzino and Hong Kong Derby winner and three time international Group 1 winner Werther. “This colt could easily win a Derby in the future, he has more energy than any other horse I can remember and is freakishly athletic just like his mother,” Liston added. Three Bridges Thoroughbreds have already proven the quality of horses they are capable of breeding, rearing and preparing. “Over the past four years we have raised two Derby winners in Rangipo (NZ Derby) and Leicester (SA Derby) as well as SA Australasian Oaks winner Sopressa,” said Liston. It will be a busy first day of the Easter sale for Three Bridges with all four lots going under the hammer. The draft will be ready to parade Thursday morning in Barn I, Stables 23–26. 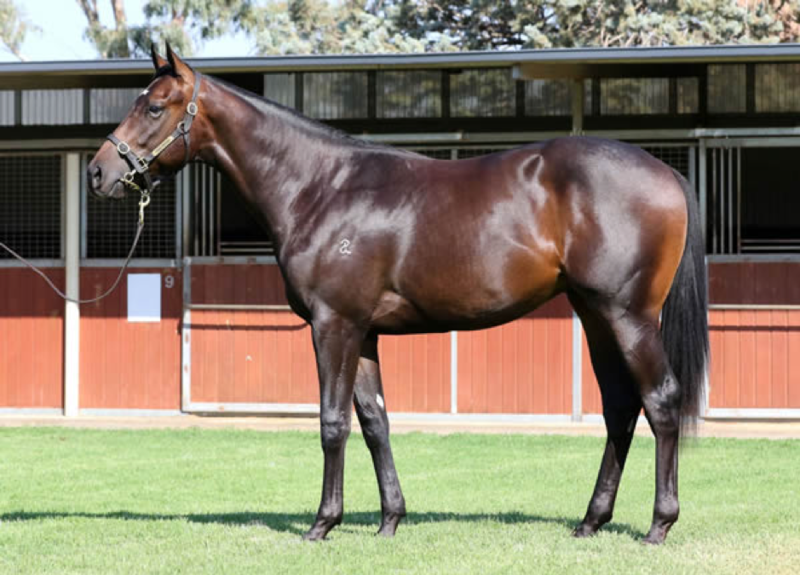 Lot 60 from the Three Bridges Thoroughbreds draft for 2019 Inglis Australian Easter Yearling Sale.